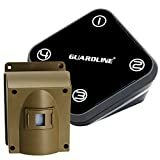 Choosing a home security system may quickly overwhelm someone who hasn’t determined which equipment will work best for their home. Investing in the right products is one of many decisions that you will need to make in order to best protect your home from burglary or invasion. Here are three things you need to know when deciding on a home security system. There are several choices of equipment to consider for home monitoring and protection. Each piece is installed differently and functions differently. Monitored smoke detectors identify the presence of smoke to alert you to a fire. Window and door micro sensors are programmed to signal the opening of a door or window and send an alarm when enabled. 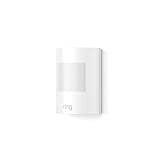 Indoor wireless motion detectors identify movement across a room with heat sensors. You can position HD Wireless cameras to monitor both indoor and outdoor activity. Protect America cameras also have built-in speakers for a two-way conversation and interact with an app allowing you to watch your home interior and exterior whether you are on site or away. Take time to compare your equipment options. Consider what each item’s functions are as well as how different pieces of equipment will work together for layered protection. Placement of cameras and sensors requires planning and strategic thought. Although it may be a challenge to avoid blind spots altogether, by taking time to consider walls and different angles you will be able to place cameras to monitor the largest area possible. Before finalizing equipment placement test out the view and make sure you have covered the area thoroughly. Protect America suggests keeping some cameras in view and others out of sight to help prevent perpetrators from identifying the area you are monitoring. Their cameras include automatic LEDs that will automatically light up to 16 feet to ensure you see the room any time of day. Cameras aren’t the only equipment to strategically place. Install smoke detectors on every floor of your home including the basement. Place detectors near ovens and fireplaces to identify a fire as soon as possible. Finally, Safety.com suggests adding equipment to hallways to help determine where smoke has traveled. Home automation has moved beyond convenience and can now integrate into many home functions. Two benefits are that home automation can help you decrease utility bill costs and increase home safety. You can program your home security system to integrate with smart features such as automatically adjusting the thermostat, setting alarms and locking doors at specific times. You can also use home automation to record what is happening in your home when you are away. Another technology choice to consider is a monitored home security system. While it might seem that a non-monitored security system will protect your home well enough, this type of equipment only alerts you to a problem when you are present on location or have remembered to turn the system on and have your phone with you. With a non-monitored system, you are the one who will need to determine when to call for emergency help. With a non-monitored system, you are the one who will need to determine when to call for emergency help. As you consider when and how you prefer to have your home monitored take time to research the ways monitored home security technology protects your home compared to non-monitored security technology. Protect America monitored equipment will give you the same levels of protection whether you are away from home or sitting in your living room. Interested in monitored home security? Get a free quote from Protect America. Protect America is a direct-to-consumer business. We will send your home security systems to you and guide you over the phone through a DIY installation process.